Frances Koons did not talk about surviving cancer on Tuesday night, but about the future. And it looks quite bright. Koons, the former Allentown Central Catholic and Villanova University track All-American, is all the way back from a bout with cancer that saw surgeons remove a tumor from her kidney in 2007. The determined Koons competed in the 2008 U.S. Olympic Trials and has already secured a slot in the 5,000 meters for the in the 2012 U.S. Olympic Trials that are June 22-July 1 in Eugene, Ore.
Now 25, Koons is living in Annandale, N.J., just a stone's throw from the Lehigh Valley, working part time while training full time for the Olympic Trials with the New Jersey New York Track Club, coached by legendary coach Frank "Gags" Gagliano. Gagliano has produced 140 collegiate All-Americans, seven national champions and five Olympians while at Georgetown, and 14 Olympians overall. 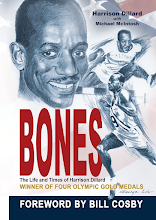 Koons is living with other teammates and Olympic middle distance hopefuls, including Julie Culley and Nicole Blood, and 800-meter runners Latavia Thomas and Stephanie Charnigo, and across the street from former Wilson-West Lawn runner Michael Rutt, who has run a 1:48 in the 800. The club also includes former Lafayette middle distance runner Alex Wechsler. 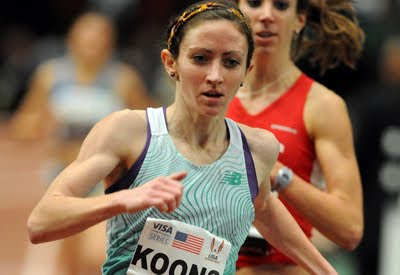 Koons best time in the 5,000 is 15:29, and she's hoping to lower that by more than 12 seconds for the Olympic Trials. "My aspiration is to make the finals at the Olympic Trials," she said. "The last two years I've been Top 10 or just outside. I'm hoping to make the Top 5 at the Trials. The Top 3 make the Olympic team, and I'm going to shoot for it. The 2012 team might be a bit of a long shot right now. Obviously people can make really big jumps, but my goal is to perform really well into this Olympic year, get my "A" standard time [15:16] so I can hopefully find a way for myself to train for the next four years and 2016. It's always nice to make a name for yourself in an Olympic year because more people are interested." Koons said the level of training partners and the fact that the NYNJ Track Club doesn't have a sole shoe sponsor allows practically any top athlete to join the club. The club meets twice a week for track workouts at Rutgers University. Koons and her roommates do strength training at home and do the workouts that Gagliano prescribes for them in the interim when they can fit them in, which they always do. "We all have a good sense of perspective," she said. "We trained in college and with pro teams. You have to know how to listen to your body and do what you need to do without overdoing it. It's almost an art form, and it helps to have these people." While most track athletes train on the West Coast, Koons sees value training in the East because of the proximity to the winter indoor season by being so close to major meets in New York and Boston. Plus, it's very close to home for many of the runners. "The Lehigh Valley is a great place to train," she said, noting that she was running up and down North Cedar Crest Boulevard last weekend. Koons didn't have an active racing summer because she took time off to mend a case of plantar fasciitis, but plans to race in the New York Road Runners Dash to the Finish Line 5K on Nov. 5, the day before the ING New York City Marathon, and then a major road race in Manchester, Conn., on Thanksgiving before converting to indoor racing for the winter.